Offering one and two bedroom floorplans, in a perfect Edgewater location to complement your active lifestyle. Making you feel comfortable is what we do; and we’re good at it. Mariner's Landing luxury apartments in Edgewater, NJ, feature open layouts combined with lavish features, defining the one-of-a-kind lifestyle that can only be found at our rental community. Situated within walking distance to the NY Waterway ferries and Hudson River Walk, as well as nearby shopping, dining, recreation and entertainment, we are in the perfect Edgewater location to complement your active lifestyle. Offering one and two bedroom floorplans, all of our modern apartments feature hardwood floors, fully-equipped stainless steel kitchens, a private patio or balcony and an in-unit washer & dryer. A refreshing swimming pool, controlled gate access and a state-of-the-art fitness center are among some of the exclusive features offered at our professionally managed for-rent apartments. Plus, we are pet-friendly with beautiful grounds - perfect for outdoor exercise and enjoyment with your pet. 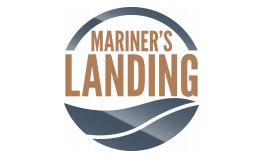 Visit Mariner's Landing Apartments in Edgewater today to find your new perfect oasis to call home!